Women love to make their faces and other body parts look better. For example, they accessorize their hands with rings and bracelets. So, what women do to beautify their feet? Wearing pretty shoes are the most women’s preferred way to accessorize their feet at once. Shoes can give beautiful look to a woman’s lower body part. Every woman feels the need to be attractive and shoes may do that. Shoes lovers always say that shoes can make them look and feel good. To make everyone see them gorgeous, some women may sacrifice their comforts while being outside. But when they are indoors, most women like to be comfortable and secure. It’s the time for your feet to relax and enjoy the completely comfortableness and protection. Take off your heels, pumps and wedges; place them on your shoe shelf. 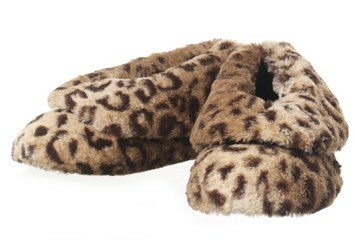 Allow your tired feet to get pleasure from the most comfy bootie slippers from DearFoams finest collection. Boot and bootie slippers are perfect to wear around your home during colder months. In other months, you may use any other style of DearFoams slippers that will also offer the most relaxing feeling that required by your feet -after a busy day. Thanks to the creators of the finest quality and trendy foam cushioned home shoes. Although you’re at home, your feet still look cute and attractive, while you benefit from their high quality materials and wonderful designs. Your favorite heels may give you feet ache but your DearFoams functional slippers would always be your best friends at home. For your feet care and health, you can count on any pair of DearFoams home shoes!